The developers of Embers of Mirrim, the adventure-platformer that features a mystical creature that possesses the ability to split into light and dark entities called Embers. Will be officially launching on the PlayStation 4 and PC on May 23rd, 2017 and one day later on May 24th on Xbox One. 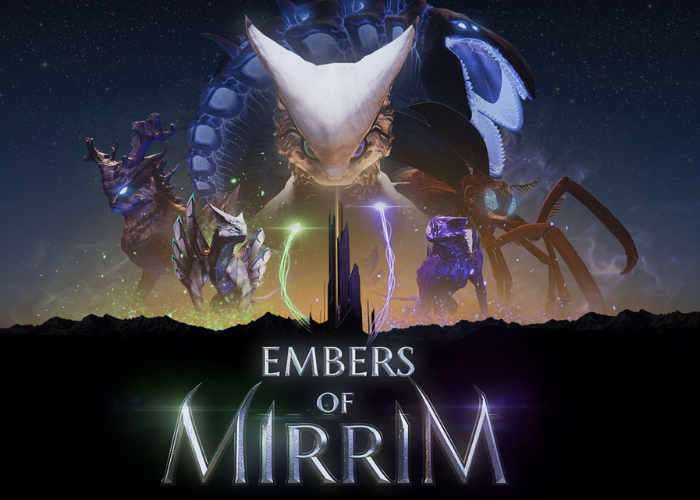 Check out the exploration Embers of Mirrim gameplay trailer below to learn more about what you can expect from this puzzle-solving platform which provides formidable boss battles and thrilling chases, says its developers, Creative Bytes Studios. • A Stylish Character with Twice the Personality: Mirrim has the ability to split into two playable forms, called embers. The Light and Dark embers are independently controlled by the left and right control sticks and offer new ways to solve puzzles, overcome obstacles and traverse through the world. • Diverse Gameplay: Master innovative thumbstick controls mixed with classic platforming, alter your world to solve intriguing puzzles, battle with gigantic bosses and run for your life from dangerous threats. Infusing these moments with “splitting” gameplay and a powerful narrative offers more than the sum of its parts. • Save Your World From the Corruption: Use your powers to rid the world of the corruption that is infecting your beloved planet. Save your friends and unify their forces to restore balance to the world.